The start of my journey to lose weight was not New Years day, however I had planned it before the start of 2019. You see leading up to Christmas I realised I had gained some weight, but it was a weight gain of a different kind, this time. Over all the years I have lived I have swayed between a size 12 and a size 16, but I had always kept my curvaceous hourglass body shape. But what was happening to me; I was losing my waistline, this had never really happened to me before and I just was not prepared to accept the situation I was in. Mondays to Wednesdays I work for a large corporation as a Product Manager and there are some exceptional benefits you get by being part of a large firm, and one is Occupational Health (OH) with a focus on wellbeing, which by the way I sit on the Wellbeing committee – and therefore its important I set a good example of being ‘well’ to my fellow colleagues. Don’t get me wrong this wasn’t the pressure for me, it was the lack of shape to my body that was upsetting me. OH offered an eight-week ‘In Control’ programme to support you in kick starting 2019 to be a healthy year. 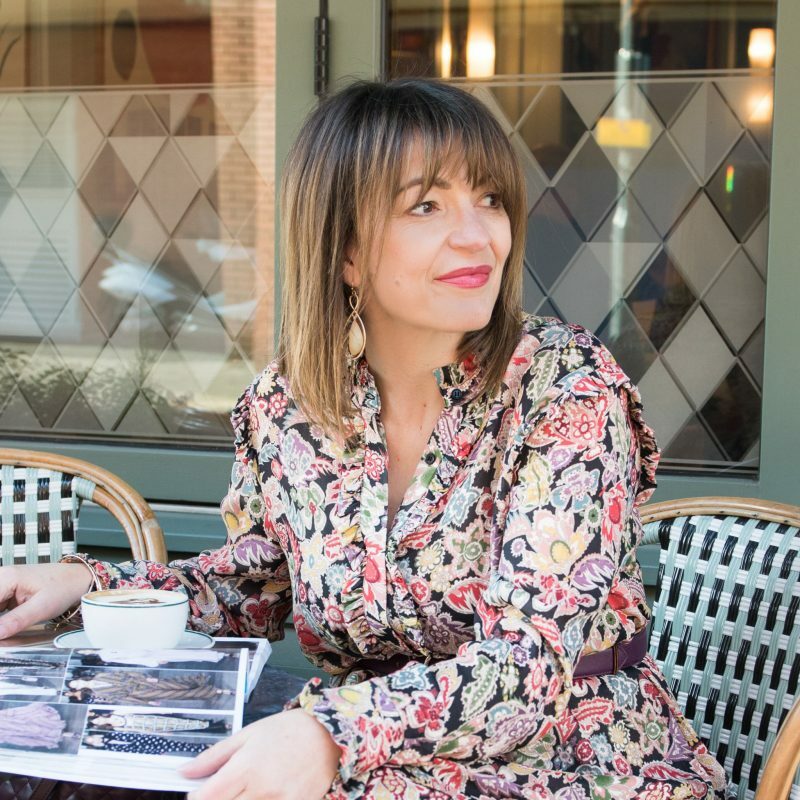 My #ootd Christmas day photo of me in my stunning chain print Zara dress was what made me realise I needed to do something about it – I felt I simply had no waist. Ironically I got the most ‘likes’ for that post for the week but truthfully for me I was very upset by this photo. Thankfully, I didn’t do want I wanted to do, which was delete it, I now look back and use it to reflect on how hard I have worked since the end of January to lose weight, but most importantly gain my body shape back. 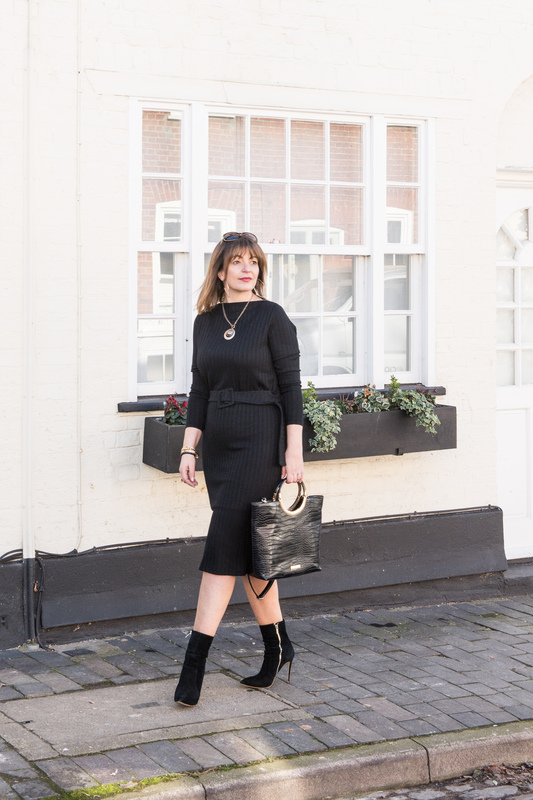 I typically blog about fashion and styling, however so many people have asked me how I have achieved my weight loss that I just felt I wanted to share some of my learnings and explain what I did – and if this helps just one person start their journey too, then I will be very proud of that achievement too! These are just a few people that you need to be accountable to throughout your week; on your behaviour about food intake, what exercise you have done and you tell them how much you weigh and discuss why you have gone down or up (I did have the odd week where it either didn’t change or it went back on). My team consisted of my ‘In Control” OH coach (which was a man by the way!! ), my husband (this was the first time in my twelves years of being together that I actually told him my weight – which weirdly was a huge relief and he is my biggest cheerleader!) and then my Personal Trainer Jo (who I will go into more detail later in the post). I would not have achieved my weight loss without the support of these three people – the accountability and the discussions on my progress is what has helped me so much. For the last few years I’ve eaten healthily, I am conscious about minimising the in-take of processed food, as an IBS sufferer I cannot really consume refined sugar so I avoid that anyway, and I eat a balanced diet. We also eat four meals a week using Hellofresh, so I can easily see what I am consuming. The reason I was gaining or not losing weight is that I was consuming over 2,000 calories a day and with a fairly sedentary work/blogger lifestyle – this was the root of my problem. I didn’t realise I was consuming so many calories and it wasn’t just the food – drinking alcohol and lattes where contributing to my daily in-take as well as large food portion sizes. A women should not consume more than 2,000 calories a day; even without the help of your GP, nutritionist or personal trainer – you can make a start! Then once you get there, and would like to lose potentially more weight then you need to eat less or increase your exercise – this though you need expert advice. I have my own magic number of calories, this has been calculated for me based on my weight, height, body/fat ratio plus other factors too. So it’s at this point you perhaps should consider a health check or seek professional advice. I am eating six times a day. I rise most days at 5.30am and I typically go to bed around 10:30pm, that’s a 17 hour day – so you see I need to ensure that I have enough fuel to keep me going all day. Keeping your daily food intake protein high helps keep hunger at bay along with consuming 2 litres of hydrating fluids. 9pm – my Lemon mouse (I simply refused to give this up – everything else in my day has to change to allow for these 107 calories! Even if it mean mores exercise! Now this one I already knew – it’s quite typically to hear people say you need to drink 2 litres of water a day. However, cold or room temperature water just simply doesn’t work for me. I recognise that tea and coffee do not count, so I needed to find a calorie-free hydrating drink which I could consume quite happily all day to achieve my 2 litre target. For me this has been peppermint tea. I realise this is not for everyone, so you might need to find your own flavour of choice, but the realisation that I prefer to drink hot drinks and to not force myself to consume cold water, is what has made it a success this time around. Now I’ve mentioned I have quite a sedentary lifestyle but that doesn’t mean I sit on my bum all day; I have a dog that I walk, I also walk into my home town for shopping or to my local supermarket. I’m often up and down staircases (because I hate lifts) and I frequently walk around a lake near to my office at work at lunchtimes. But the fact remains this simply was not enough exercise. I have tried weekly classes (I find them boring and time consuming). I am Chandler from Friends when it comes to gym memberships in that I enthusiastically sign up, to never visit again! I can do the odd DVD at home, but I generally find myself sitting and watching them rather than taking part! So discussing this with my ‘In Control’ OH coach and my husband, a personal trainer seemed to be the next option to try. This at first appears to feel more costly than classes, however I see Jo every 2-3 weeks and I exercise at least 3 times a week alone, so once you divide a PT session into that, I think you’ll find it’s pretty much the same. 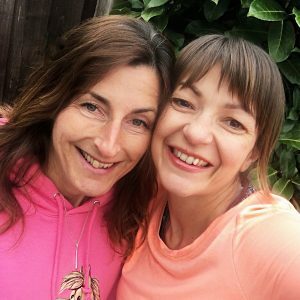 My friend, and now my PT is Jo Baxter who is based in Berkhamsted and she comes to my home for the session. “Please help me get my hour glass body shape back” – and bless her she has so focused on this! So you can quite easily see, I was not keen at the start at all about getting physical – but thankfully Jo accepted my personal obstacles, she has worked wonders in keeping me interested, keeping me motivated and also I have not had to leave my house at all and with very minimal outlay to some new equipment (I think I have spent £30 to date) it’s worked a treat. I have to confess, I am starting to enjoy it a little, but please don’t tell Jo! With Jo, I have focused on weight training with one 6kg Kettlebell and two 3kgs dumbbells – we recently stepped it up with resistant bands and I have I have my waistline back after months of thinking it was gone forever! I am so chuffed, within 4 weeks I had noticed a difference and by 7 weeks there was an obvious change. When you reach 40 it is so much easier to gain weight if you do not have the right food/exercise balance for you in your life. You don’t have to accept this. Many women have said to me ‘it’s part of getting older’ well I disagree. My advice to you is to find out why you are not living your most best and healthy life, and make those changes. Take small steps, I did, this all didn’t happen in the first week. I am now 10 weeks into this new lifestyle and I have lost 10 lbs. One pound a week is a healthy way to lose weight and you’ve more chance to keep it off. 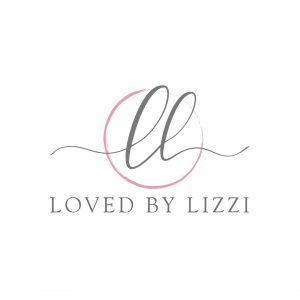 I have had the odd day where life has taken over, maybe I needed a latte for that cosy feeling or a birthday celebration is taking place at my favourite Italian restaurant – believe me no calories are being counted there! It’s all about balance. I truly hope you found this post inspirational. If you have any tips you want to share, then please do pop them in the comments below! Jo and I would love to take a look at them!